I know, I know. It’s spring. And y’all are probably sick of cold weather and warm cozy meals and all things wintery. But here in the desert we haven’t been beaten by the cold for several months and I am still jumping at any opportunity to make soup. This week we have had unusually cool weather (even some rain!) 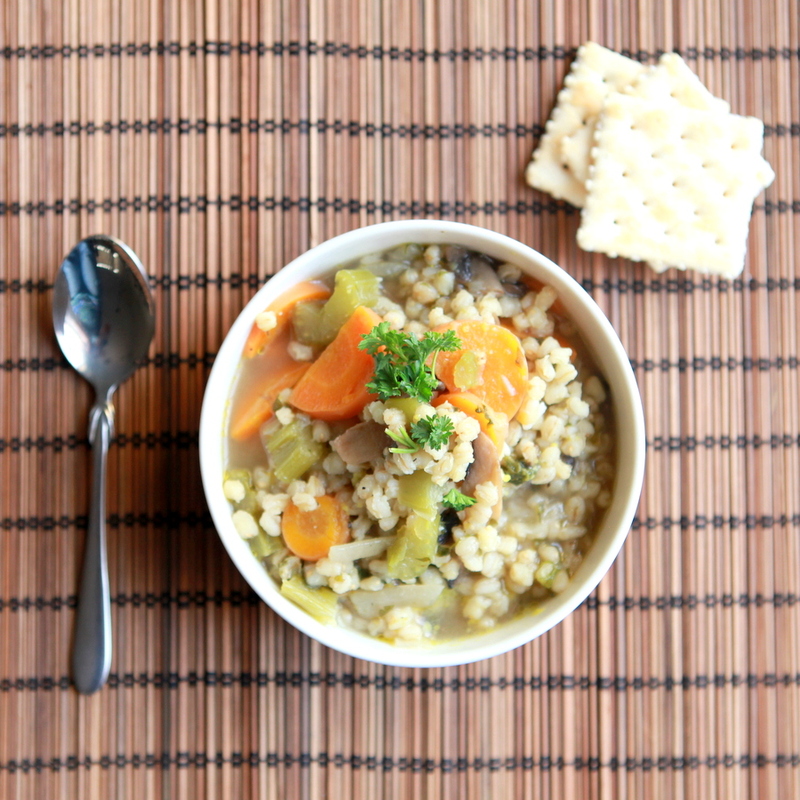 and so I took the chance to make one of my go-to soups. 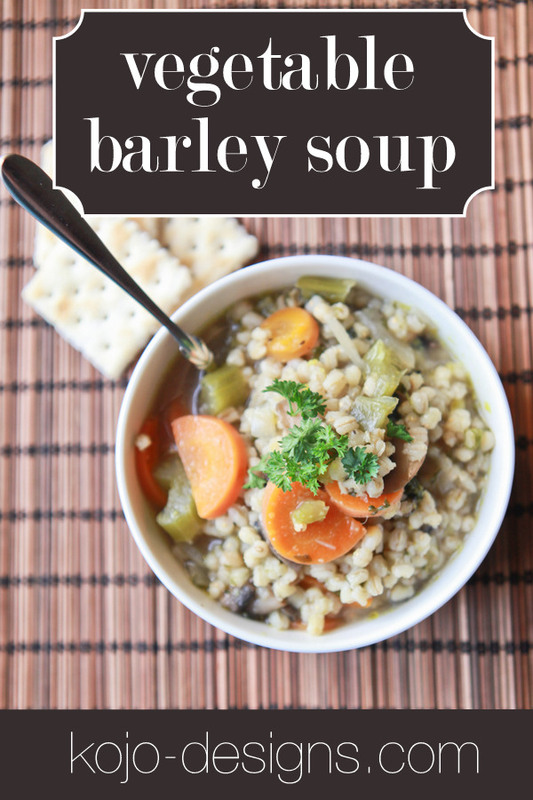 Bring broth to a boil and add the barley. While the barley is cooking, heat olive oil in a large skillet and saute onion and garlic for 4-5 minutes, then add the rest of the vegetables and saute another 4-5 minutes. Add the sautéed vegetables and herbs to the broth and barley and cook on low for another 30 minutes or until the barley has softened. Serve warm with crackers. I’m really hoping (for your sake) that you can just log this recipe away and start grilling out soon, but for now, enjoy a little bit more soup weather (and think of me)!